It feels quite hard and tough accept when you hear that you have Cancer. However, taking a bold step in your healthcare help you take control over you and give you hope. This article is exactly about it. This topic is very serious and out of my way too but a recent report by american cancer society cancer facts and figures 2018 made me bound to cover this topic today. During an interaction with Ssozi, a friend of friend of mine, who was diagnosed with cancer couple of year ago, undergone chemo twice detailed me about her whole experience and helped me understand how he made it possible. This article is on the behalf of her. Although he mentioned points to consider while choosing oncologist in Jaipur but most of them are common to all locations. Horrific Bullying and Going After the Victim: Have Some at This Public School Lost Their Minds? Is School Breakfast Contributing to Low Achievement, Lack of Focus and Out of Control Behavior Leading to Diagnoses and Meds? ​Breakfast at public school seems like a great idea. Saves time and parents can get kids off to school faster and get to work faster as well. Home breakfast with family, while I believe is the best way, is a thing of the past in exchange for the state deciding what the kids eat. Very different than the old days right? 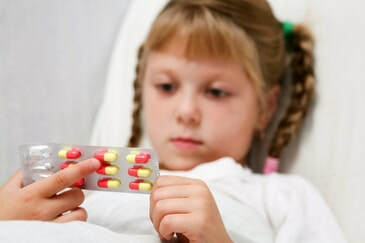 Another thing that is really different than the old days is the level of kids being diagnosed with debilitating, disruptive disorders and ending up on medications. I remember a day when my kids got home from school and they were upset because other kids were getting this really cool breakfast in school and they wanted it. You see, our breakfasts at home consisted of a lot of good protein, some good Omega 3 fat and a lesser amount of grains. and only non GMO oat based whole grain. I did this because through all of my reading, I realized that kids do better when they have some good fat and good protein on board along with longer lasting carbs that were not corn or soy based. Less distractibiltiy, less off task behavior, better concentration and focus and better mood. All of it went into enjoying school more and doing better at it. We have 2 kids and my wife has scheduled each of them in so many activities their heads are spinning. I don’t like this and have told her that, but she thinks that because she always had every minute of her childhood scheduled that this is the right thing to do. I was one of those kids who had lazy summer days catching frogs and hanging out and I think I was and am better off for it. Which one of us is right and what do you think about this? E.F.
My child is in 6th grade and he does very well at things like sports. He doesn’t do as well with academic things like Math, Science etc. He isn’t failing, but it doesn’t come easily to him. He is very aware of other kids getting it faster than he does. We have never been the kind of parents to express anger about grades since the grades are always average but the older he is getting, the more frustrated and upset he is getting about not doing well at the academics. We feel that he is strong in sports and does average in academics so he should feel good about himself, yet he doesn’t and it concerns us. We have been to a tutor but the academics don’t improve. We’d like him to feel better about himself and wonder if our perspective about focusing on his strengths and forgetting his weakness isn’t the best way to think. Of all people out there, we thought you would be helpful. We’ve been reading you for a lot of years and it seems like your answer here would be very worthwhile. G.T. These days it seems that everyone is either on medication or recommending one...NOT ME. School at home is rarely quiet. For those of us who have multiple kids we are schooling, we know that noise is an inevitable part of our day. Many parents have pulled their child out of school because the child has trouble focusing in the classroom and they feel that the home environment will be more helpful for the child to have the quiet he needs to work well. While I am an avid fan of homeschooling and a homeschooling mom of 3 myself, I will say that there is something bad that can happen from this. An environment that is too quiet, can actually harm a child’s ability to focus and concentrate. Yes I did just say that. ​As a processing skills and motivation expert for almost 30 years, I can say that the kids who learn to work in a noisy environment will be much more able to handle the noise in the future and not get put off of their work by it. This does not mean I am advocating a classroom over homeschool as I am aware that homeschool has many, many benefits. I am simply saying that keeping it too quiet can harm a child's learning. Somewhat like the parents that are super quiet for their baby sleeping and they can’t understand later why the child needs perfect quiet to sleep. Many will tell you that having some noise around is a benefit. This does not mean I want you to flood your child with noise while they struggle and feel overwhelmed. Quite the contrary, I am talking about a supportive training that if done right can get rid of the overwhelmed feeling around noise. The little big things that make a great homeschool day! One of the things I constantly struggle with as a homeschool mom, is how much should be required that is strict curriculum and how much leeway I should give for creativity. I had such a proud mom moment a few days ago that supported the creativity side big time and it will be one of those moments that glows forever! Is This Common Product Used in Classrooms Causing Your Child’s ADHD Symptoms?